We’re thankful for all the wonderful work you do, including sharing early literacy tips with parents and caregivers! 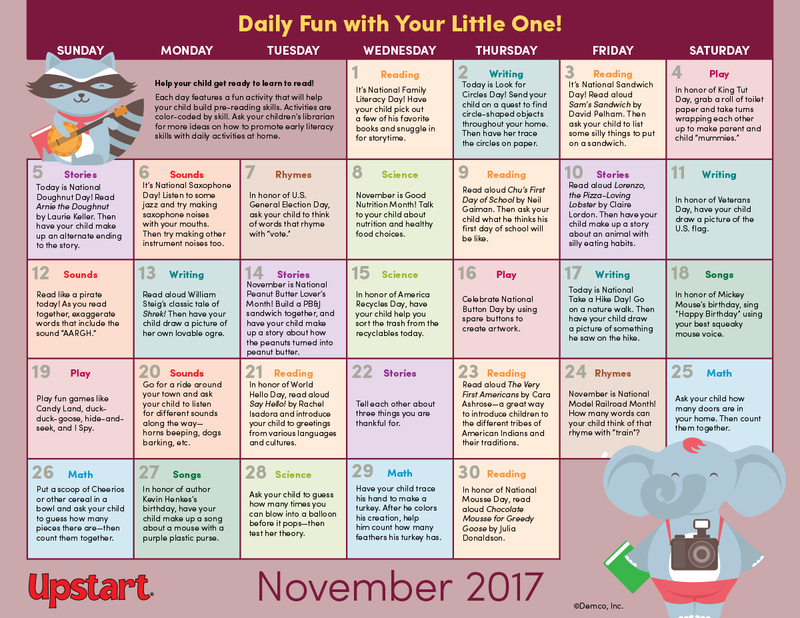 The November calendar is packed full of reading, writing, storytelling, math and science activities. Share it during story time, hand it out with your 1,000 Books Before Kindergarten program and take it to outreach events. 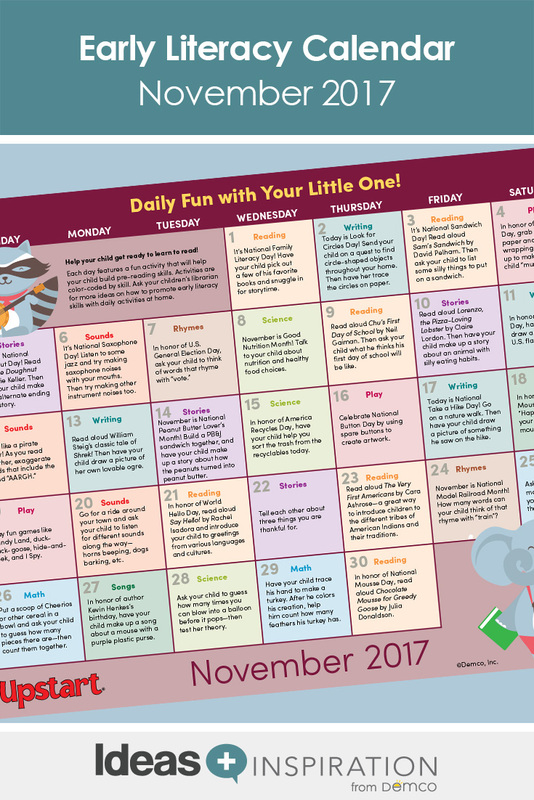 Download the November Daily Fun With Your Little One calendar. When is December’s Coming out? The December calendar will be live on October 30 on the blog. I’m glad you’re finding the calendars helpful! Thank you for these great ideas but I believe National Doughnut Day is the first Friday in June rather than Nov. 5.